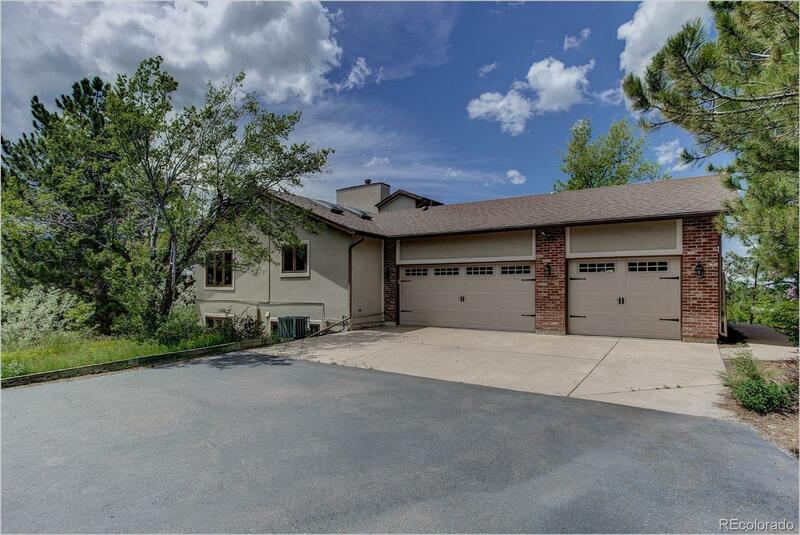 Exceptional acreage offering privacy and a view of the front range! Unique even for Burning Tree Ranch! Spacious floor plan providing warmth and charm! This custom home features a main floor master and en-suite, study, formal dining room and sweeping views from the back of the home. The gourmet eat in kitchen has rustic charm with modern appliances and custom butcher block island and brick oven area. The upper level features 4 bedrooms with large windows and a open balcony area. The full finished walk out basement has another living room, art studio and a full steam room and bathroom. The home has brand new stucco, garage doors, external lighting and a full length back porch. Sliding doors from the kitchen, family room and master. In addition to the glorious lot, the home has its own private tennis court.